It's Writing Wednesday. 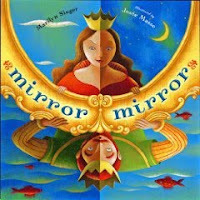 Author Marilyn Singer put up a collection of opinions worth reading. She asked a batch of book people, "What makes a good picture book?" The answers are here. From this trove, we ought to be able to take away one solid good thought to work on to make our next manuscript better. Hmmm...but which one to chose?